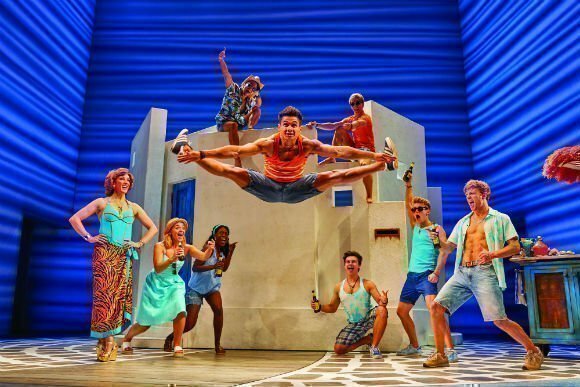 Sing your heart out to Mamma Mia! 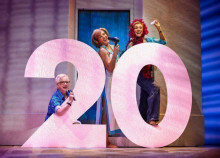 Mamma Mia the film, directed by Phyllida Lloyd with choreography by Anthony Van Laast, was the highest grossing musical film in the world… ever. And the musical version is a smash hit to end all smash hits. 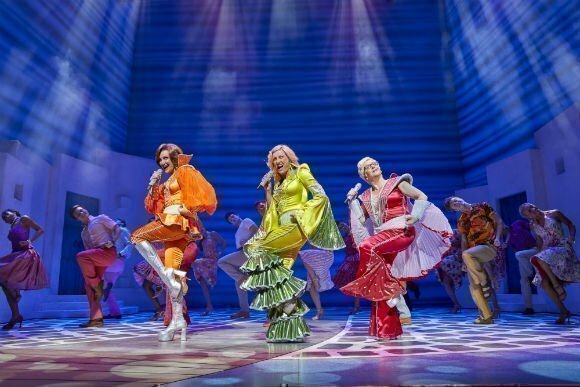 Mamma Mia the musical has already been seen and loved by more than forty five million people across six continents since it first opened in 1999. 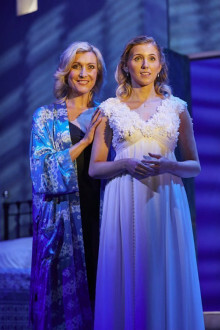 With music and lyrics by Abba’s Benny Andersson and Björn Ulvaeus, joined by songwriter Stig Andersen, this Olivier Award winning adaptation of British playwright Catherine Johnson’s book is an on-going runaway success. 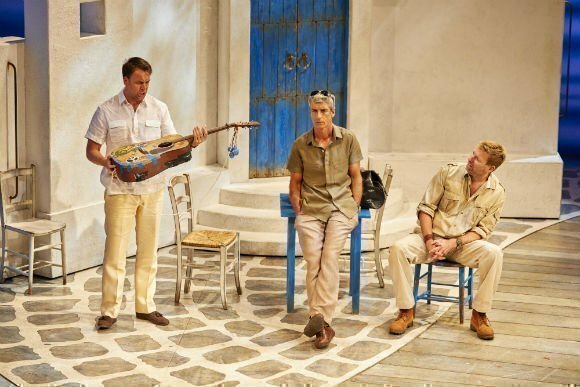 Mamma Mia is a touching tale about a wedding on a sunny Greek island. Sophie, the bride, has nobody to walk her down the aisle and her mission to find her father uncovers three very different potential candidates from her mother Donna’s fascinating past. All three ex-lovers return to the island, where they first met Sophie’s mother two decades earlier, and Donna is transported back to re-experience the memories of her rebellious, carefree youth. The story of the wedding unfolds, infectiously funny and light hearted, told through twenty two of Abba’s greatest hits. 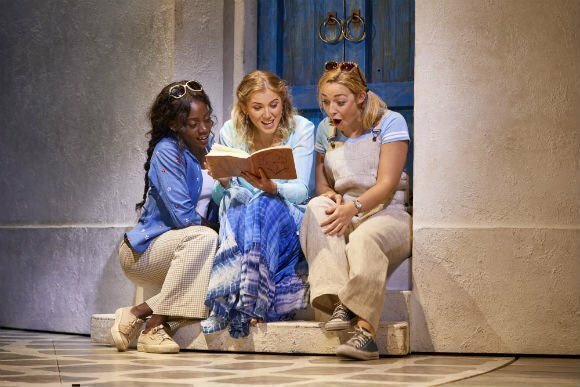 Mamma Mia the musical continues to deliver love, laughter and friendship to delighted audiences from all over the world. Taking its rightful place as one of the West End’s greatest triumphs, it’s popular with people of every age and taste. 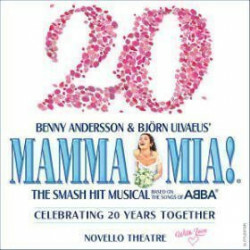 Everyone loves Abba tunes, and Mamma Mia contains twenty two of their biggest and best-loved chart toppers. 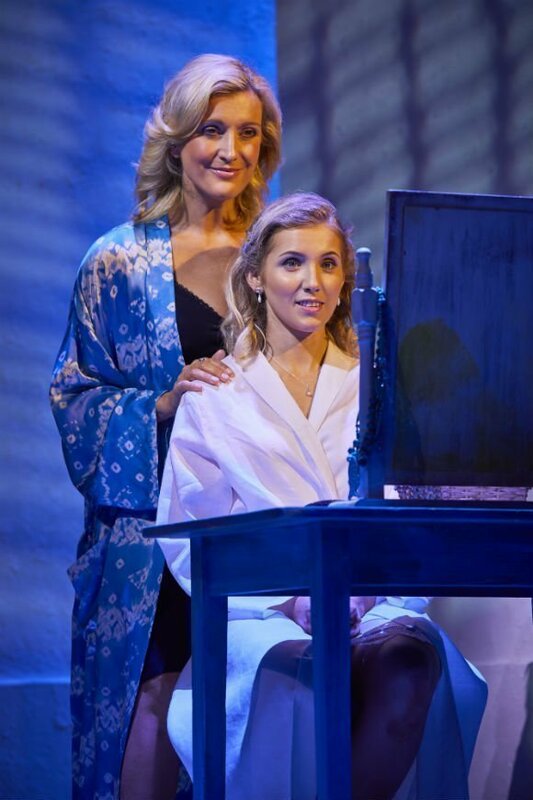 I Have A Dream, Honey, Honey and Money, Money, Money take the stage with uplifting songs like Thank You For The Music, Chiquitita, Dancing Queen and, of course, Mamma Mia itself. 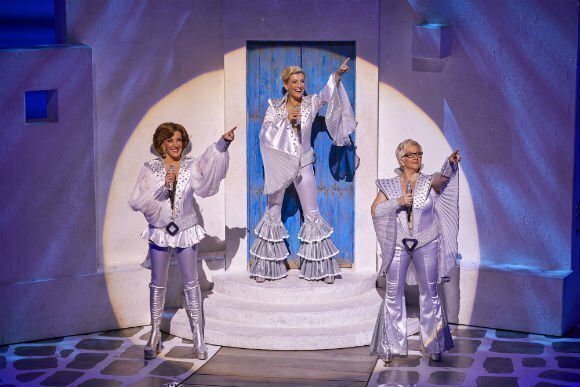 You’ll be singing in your seat to Lay All Your Love on Me, Super Trouper and Gimme! Gimme! Gimme!, swaying to The Name of the Game, Voulez-Vous and Under Attack. 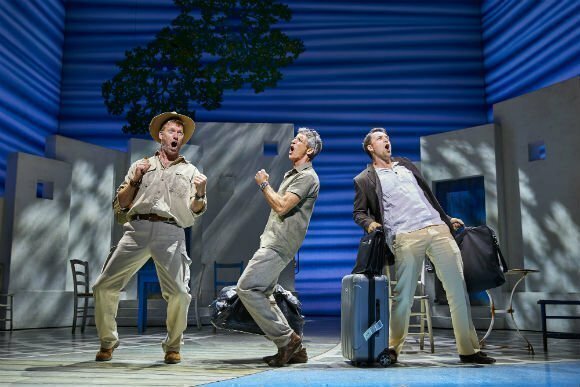 With One of Us, S.O.S and Does Your Mother Know helping to move the story along, and Knowing Me, Knowing You and Our Last Summer bringing laughter and tears in equal measure, it’s one of the best feel-good West End shows to hit the London stage. Slipping Through My Fingers, The Winner Takes It All, Take a Chance on Me and I Do, I Do, I Do, I Do, I Do join Dancing Queen and Waterloo in an all-singing, all-dancing extravaganza that’ll leave you feeling uplifted, inspired and determined to buy a copy of Abba’s greatest hits as soon as the shops open the next day! Enjoy one of the biggest global musical phenomena of the century with our excellent choice of premium Mama Mia tickets, standard tickets and discounted seats. 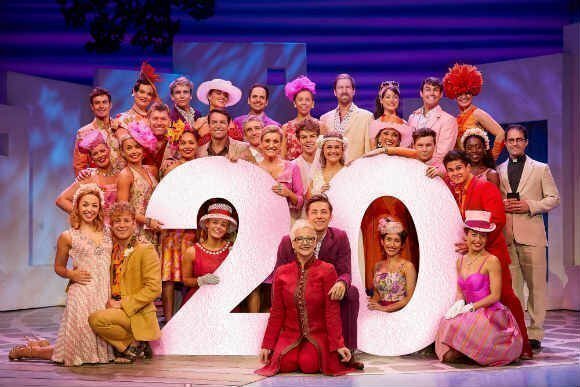 You’ll be on your feet singing along with the cast in no time… it’s simply irresistible! Easy to get involved even knows only a little English. Spread good energy and love. Great night!!!!!! The night I went ABA was there on the stage. Awesome!!!!! It was excellent entertainment and the music had your feet tapping. Theatre and show were secpnd to none. A very good performance. A must see. This show was fantastic. The atmosphere was fun and lively. The singing was brilliant. A show that can be seen again and again. The show was incredible! It was an amazing night out! Me and my partner went to see this on a Friday evening. Was fully booked and we were in row u. Saw tge whole show, no restrictions to view. Atmosphere was amazing and everyone clapped along and were up on their feet at the e end to dance along. Highly recommended to all ages. Really enjoyable show. The singing was amazing. Loved to story. We really enjoyed the fact that the audience got up and sang/danced at the end. Took my husband who was surprised at how much he enjoyed it. I have been a couple of times over the years and enjoy it every time! Fabulous show - great to sing along to and genually come out feeling better than you went in. A wonderful performance with great acting and singing voices, greatly enjoyed. Anyone who has seen the film's will love this stage production. Marvellous night. My teenage sons just loved it! A must see! Great music! I loved the performance what an amazing birthday present . These were a light on the left that was maming some noise. Show was very good all employees were excelente. Upgraded to Dress Circle seats row E. Perfect view and the kids benefited from the booster cushions. Recommend this show to anyone looking to leave the theatre upbeat and in a good mood! Easiest way to buy the tickets to this show was online, we tried to buy the tickets straight was theatre but they were only offering tickets for the same day shows... to attract even more people to this show , I would have a separate box office inside theatre selling tickets to any day shows like they do in New York. Great music. Great story. Made me cry, laugh, sing along and dance. Mesmerizing. Absolutely brilliant show, worth every penny. Great story, great music and terrific and talented actors and musicians. 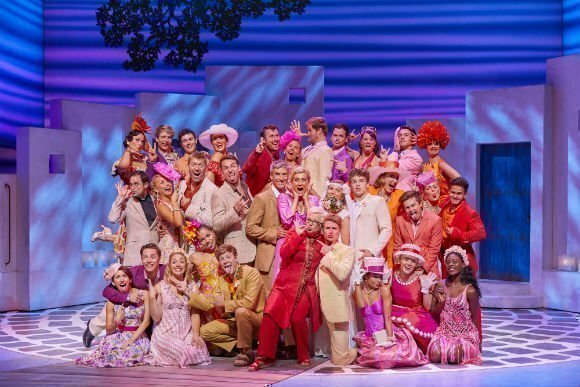 The ultimate feel good musical - thoroughly enjoyed it. It was a spetacular enjoyable show. Performers on stage and off stage! Recommend to anyone, a must see show! Excellent vocals and actig from the cast! The show is fantastic but the upper balcony view is not good enough. It was very fun to watch this show, The live show is good but sometimes it was monotone. The flow of the movie is way better than the play. Sometimes It felt me like the director dwelled some stages, but overall it was very fun for me and my wife. 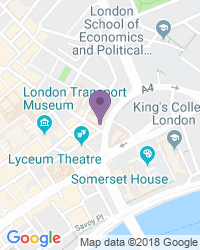 Being in London for the first time in 20 years, the music and the story makes me feel so delightful especially when the weather outside is dull and cold. Great show for any age group except children under 7 /8 For us in our late 50s this was a great trip down memory road. We loved it . The spontaneous ABBA performance at the end was just great - a sing a long for the audience just meant the atmosphere lifted even higher and everyone left the show buzzing. During the encore It looked to me as if the cast were enjoying the show as much as the audience. Lively musical with great songs. First half excellent. Second part less exciting. It is definitely hilarious, very enjoyable for anybody! Very well organised. Nice voices of actors and well tuned. Wonderful and very enjoyable performance, artist were above being brilliant, they were fantastic brought the whole audience into the show. Invest in getting a wonderful view, we were in row C seats 8 & 9 of the Dress Circle and had a wonderful view of the performance. There were seats available in row A which is at the front but these tickets didn’t show on the website where I booked our tickets. So check other booking agents before committing to buy. You will enjoy because it’s FANTASTIC. Fantastic singing and dancing. Lovely costumes. Awesome ! Beautiful dream on stage! Awesome music, decor, colors and beautiful actors. Mamma Mia! 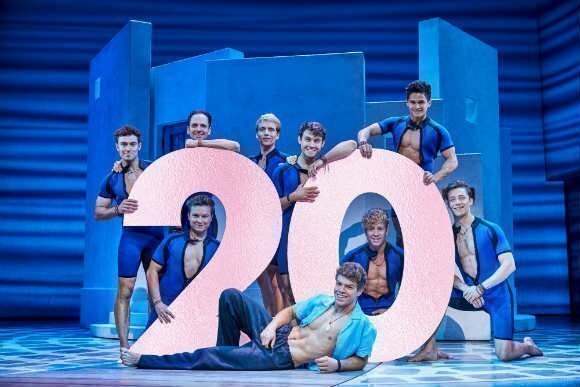 is celebrating its 20th anniversary in London this year and even after all that time, countless awards and not one but two movie adaptations, this show is still very much alive and buzzing. Sometimes I get a gut feeling about whether I’m going to enjoy a production before I’ve even walked through the door. 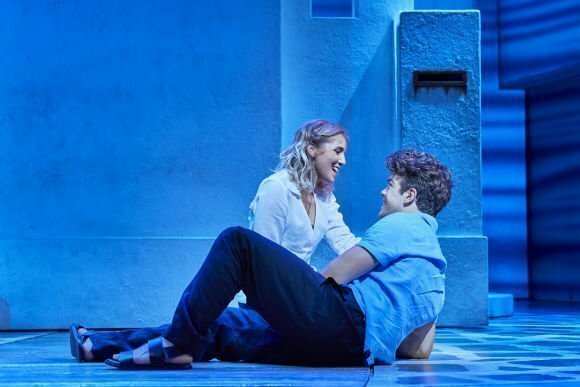 Normally I mistake this for hunger and grab a chocolate bar that I really don’t need, but this time as I walked through the doors of the Novello Theatre I had an uneasy feeling telling me that I was not going to be impressed by this show. But, Mamma Mia! has been running for 16 years and is still going strong, so I told myself to watch it with an open mind. Now don’t get me wrong, I love ABBA and can often be found belting out Dancing Queen in a karaoke bar or on a dance floor. I figured that I would spend the evening happily singing along to a corny show with a crazy storyline and great performances. I should have listened to my first gut feeling. 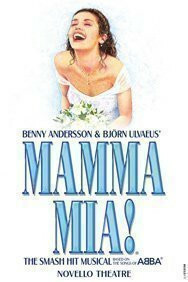 Use the search box at the top left of this page to search for Mamma Mia! tickets availability.